Earlier this week, Party Poker added Boris Becker to its team of ambassadors and the site has been quick to launch a promotion themed around their new star – “Beat the Ace”. 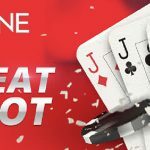 Fortunately, players are not being asked to take the former Wimbledon champion on at tennis, but in three heads-up NL Texas Hold´em matches with up to $25,000 as prize money. In order to win the chance to play Boris Becker heads-up, players must first complete up to four missions and then battle their way to the top of a “Beat the Ace” leaderboard over the course of four freeroll tournaments. 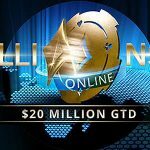 Each freeroll tournament also has a cash prize pool of $5,000, so there is the opportunity for everybody to win something in this promotion. For each mission that is completed, players will be awarded a seat in a special freeroll tournament. Points will be awarded in each freeroll tournament according to where each player finishes and compiled on a leaderboard. The player at the top of the leaderboard after the fourth freeroll tournament has been played will face Boris Becker heads-up for up to $25,000. Make a deposit into your account. Play 5 hands of SNG Hero. Play 100 hands of fastforward poker. Play 10 SNG Hero hands on a mobile. Knock a player out of a Sit & Go game. Knock a player out of a SNG Hero game. Win a hand of fastforward poker. Play 10 fastforward hands on a mobile. Play 50 hands in Sit & Go games. Win a game of SNG Hero. Double up in a hand of fastforward poker. Play ten cash game hands on a mobile. Mission 1: Saturday 7th January 2017 at 5:00pm (CET). Mission 2: Sunday 8th January 2017 at 5:00pm (CET). Mission 3: Saturday 14th January 2017 at 5:00pm (CET). Mission 4: Sunday 15th January 2017 at 5:00pm (CET). Please note that the Mission 4 challenges and the Mission 4 freeroll tournament can only be accessed from a mobile. In order to have the best chance of topping the leaderboard and playing against Boris Becker, it will probably be necessary to play in all four freeroll tournaments. 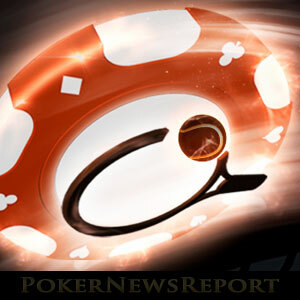 Players who do not already have the Party Poker mobile app can download it free of charge from the site. 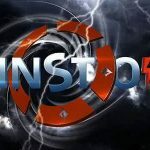 I´ve Won the Leaderboard Competition – What Happens Next? The winner of the Beat the Ace leaderboard competition will be flown to a yet-to-be-disclosed “luxury location” to meet Boris Becker and take him on in three games of heads-up NL Texas Hold´em poker. If the player wins one game against the former Wimbledon champion, he or she will win $5,000. If the player wins two games against Becker, the prize increases to $10,000. Win all three games and the player wins the maximum prize of $25,000. The “Beat the Ace” promotion starts this week at Party Poker and continues through until 6th January 2017. 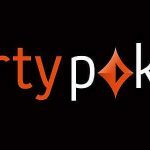 Players who do not already have an account with Party Poker, but who would like the opportunity to meet Boris Becker, can sign up for an account using the Party bonus code PNREPORT. Your first deposit will not qualify for the deposit element of Mission 1, but it will make you eligible to receive a 100% match bonus on your first deposit up to $500. Game, Set and Match? It could be if you “Beat the Ace” at Party Poker.